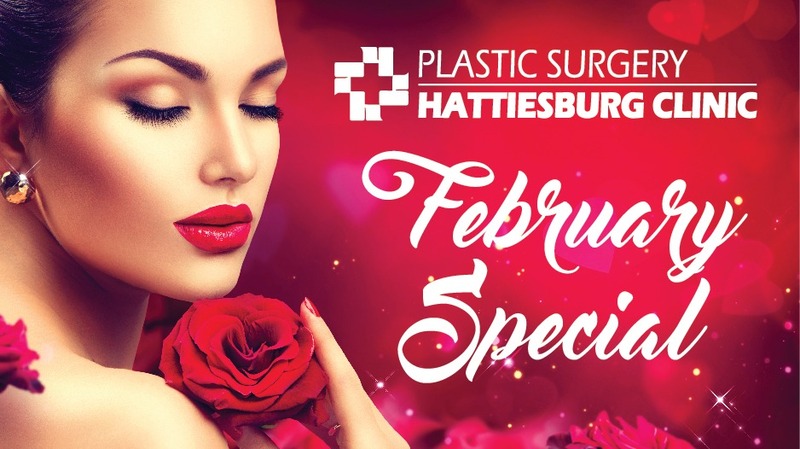 For the month of February, Hattiesburg Clinic Plastic Surgery is offering BOTOX® for only $10 per unit ($12 regular price)! Plastic Perks members receive an extra $1 off per unit. 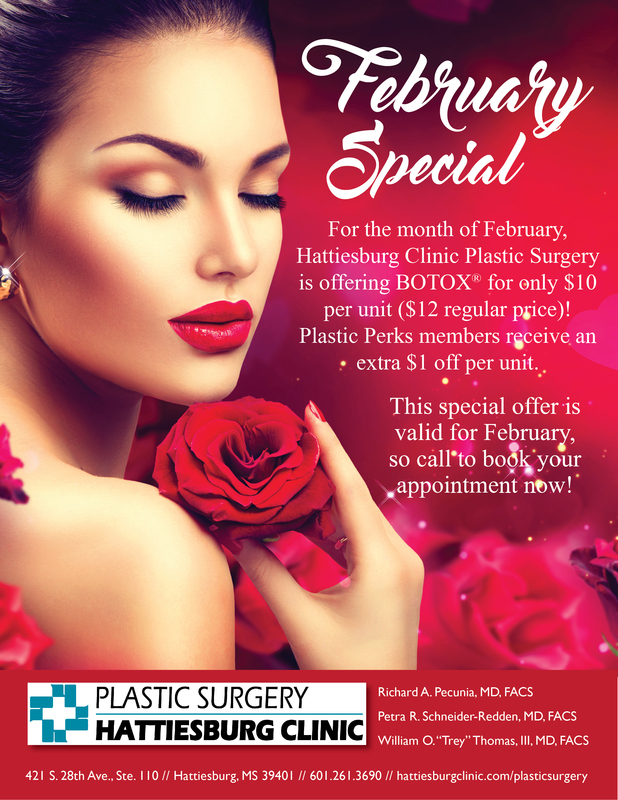 This special offer is valid for February, so call (601) 261-3690 to book your appointment now! Call (601) 261-3690 now to schedule an appointment!